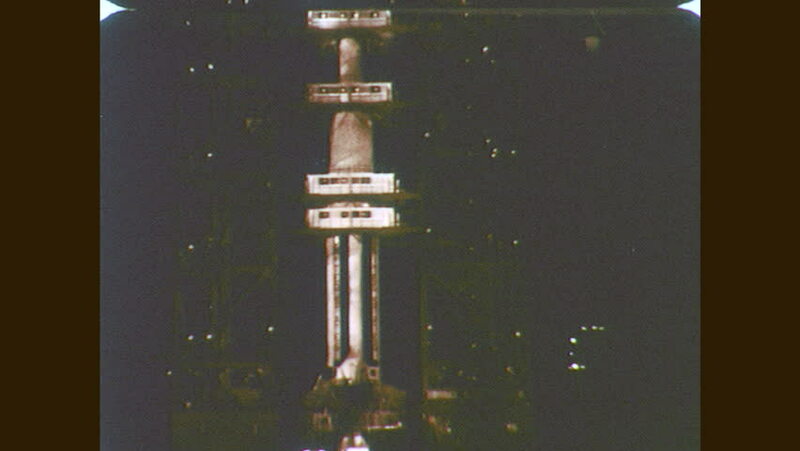 1960s: Rocket in launch tower. Gantry moves away from rocket. Men climb gantry. Man gathers cables. hd00:08Space flight "Elements of this image furnished by NASA"
hd01:42CIRCA 1966 - An on-board camera captures the action as the Gemini XI un-tethers itself from the Atlas Agena.